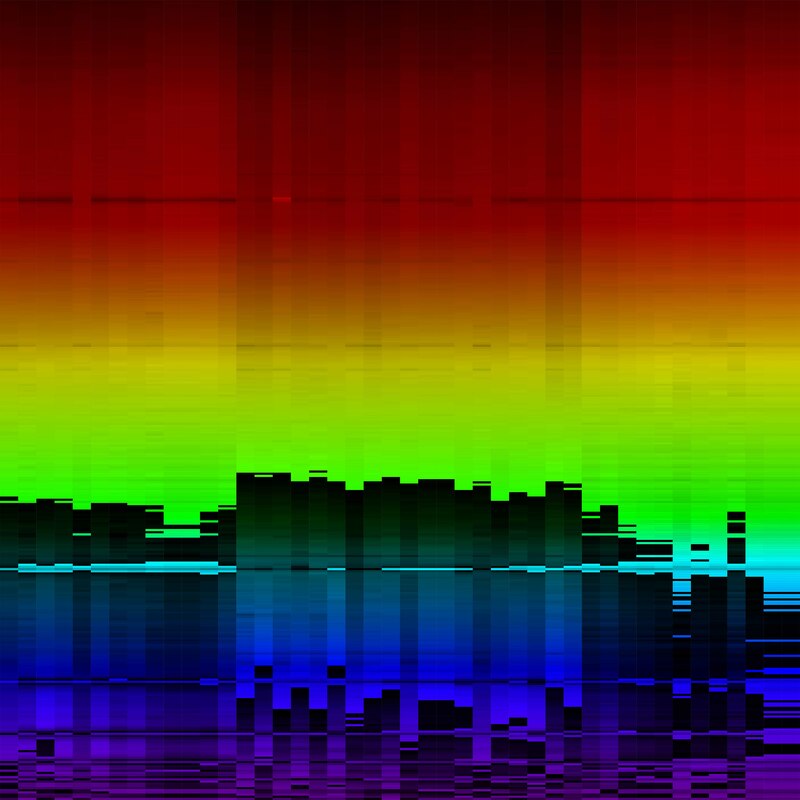 ROYBIV+XML is a diptych made of spectral data and of every star visible from earth with the naked eye. Considered as real “directories” of stellar data, these images contain the vastness and variety of stars on a defined format. Coated on paper, the information is reduced by their media. 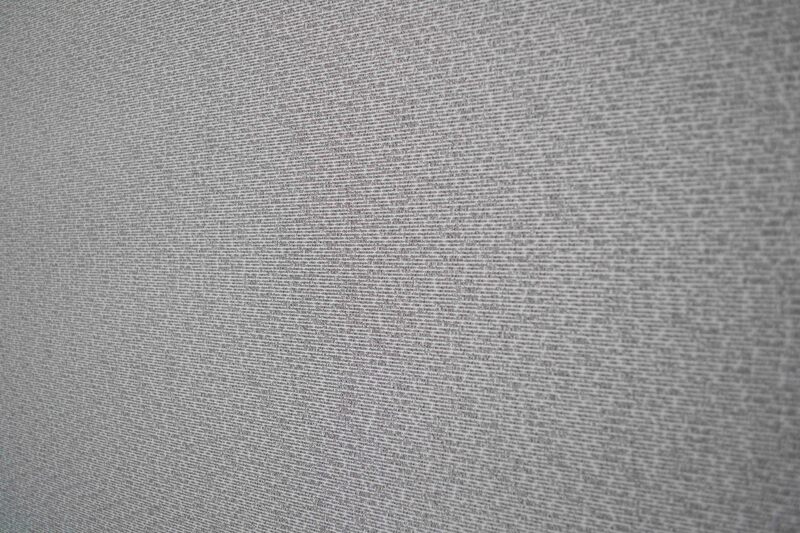 The result is unexpected forms – gray and illegible monochrome, absurd listings, infinite spectra – on which we never try to read the information, in favor of a contemplative experience, like the experience in front of the stars themselves. Tomek Jarolim is a visual artist and interaction designer. His work questions the status of the viewer, and the viewable itself, through research on the digital light and the color of the pixel. In order to do so, he develops pieces that focus on generative images displayed on a large scale of devices: screens, smartphones, beamers, books, stages, or even the eyelids. In 2009, he exhibits a piece called Invisibles at the 14th Young Artists Biennial in Skopje, which explores a more sensitive work that he follows at Diip/Ensadlab, a research programme of the École Nationale Supérieure des Arts Décoratifs. Since 2010, he develops research on interactive lights, especially with the installations The Eyes Closed and Diffraction, presented in Fabfest 2012 (Gaîté Lyrique) and Suns in 2016 (Palais de Tokyo). Award winner of the French American Cultural Exchange grant, he goes to the School of the Art Institute of Chicago, where he focuses on a sound piece, Ut Queant Laxis, which will be choreographed by Beth Jucovy for « Innovation in Dance » festival in New York. Tomek Jarolim continues his lighting explorations, through various residencies: the light of the stars in a residency at the Observatory of Haute Provence/CNRS, traditional and digital theatrical lights at Théâtre de l’Agora – Scène Nationale d’Évry et de l’Essonne, and city lighting thanks to a close collaboration with the Institut Français in China since 2013 (« Display » and « Loop Mode » at K11 Art Village – Wuhan, Art Beijing 2014 and « Av@Ar » at CModa – Beijing, etc.). Meanwhile, he works on projects such as Augmented Window by Thierry Fournier at Centre Pompidou or Discontrol Party by Samuel Bianchini at la Gaîté Lyrique. In 2011, he signs the digital creation of Ring Saga, an opera staged by Antoine Gindt according to Wagner’s Ring of the Nibelung, a project for which he also works on a « rêverie » entitled Wanderer Postscript.